The County Council passed into law Bill 78-18, Multimodal Transportation, October 1, 2018 and it became effective on January 1, 2019. The purpose is to enhance the residential and commercial subdivision and site development regulations to ensure that all modes of transportation, not just motorized vehicles, are equally considered when creating the road and site design during the development process. The new regulations require more consideration of safe walking, bicycling, and transit access and expansion of the existing network, to improve mobility options to schools, libraries, trails, parks, neighborhoods, commercial centers, transit stops and other destinations. Some developers have done this already with projects that include the connector from the B&A Trail to Jones Elementary (photos above courtesy of PedalPowerKids), the sidepath along the new Odenton Town Center Blvd, the extension of the WB&A Trail down to the Patuxent River and the shared-use path on Underwood Rd on the frontage of The Ridings. The addition of even short sidewalk, trail or bike lane connectors can fill critical gaps and reduce short automobile trips by providing safe walking and biking alternatives. The new regulations only apply to new developments not already in the plan review process but we are hopeful that some that are underway will opt in and provide bike/pedestrian facilities. The benefit to developers is enhanced property values while also helping to relieve traffic congestion, promote health and protect our environment. We encourage you to advocate for safe walking, biking, and transit access facilities for nearby developments during the community meetings that are required during the development process and other forums. You can find pending developments at the County Subdivision GIS Map. 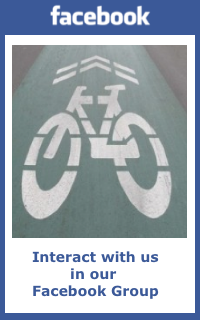 Learn more about the new law and the Bike/Pedestrian/Transit Assessment process at the County Office of Transportation BPTA page. This entry was posted in General, Infrastructure, Legislation, News. Bookmark the permalink.